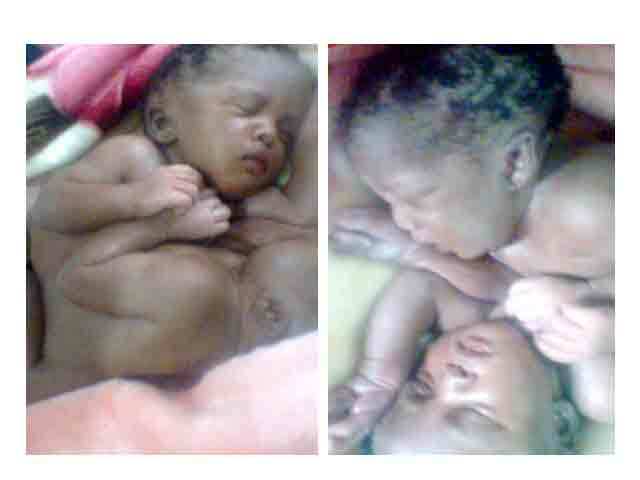 On Thursday, a 17-year -old woman, Safiya Sani, was delivered of conjoined twins at the Mararaba Medical Centre, Mararaba Gurkuin, Nasarawa State. Dr. Angela Smart the medical superintendent of the health centre during an interview with newsmen revealed that the woman was referred to the hospital at 10am on Thursday from Mararaba Primary Health Centre when they were not able to deliver her of the babies. Smart stated that the woman came with a scan result indicating that she was carrying a set of twins, which also indicated that the babies were coming with legs but could not pick that they were conjoined. Dr. Smart said the babies were however, referred to the National Hospital since there are no facilities at her hospital to separate the babies. She used the medium to appeal to all pregnant women to adhere strictly to directive given to them during antenatal and to ensure that they attend antenatal regularly and early as well as taking their drugs especially the folic acid. “Most of these women joke with those drugs,” she said. While speaking with some journalists, Mrs. Sani said that she registered at Mararaba Primary Health Centre when her pregnancy was five months old. She added that she neither anticipated having conjoined twins nor having any complications at birth. Safiya, a seamstress, said her husband, Sani Ahmed, is an Arabic teacher in one of the mosques in Mararaba. She appealed to the federal and state governments and well-meaning Nigerians for help to save the lives of the babies.